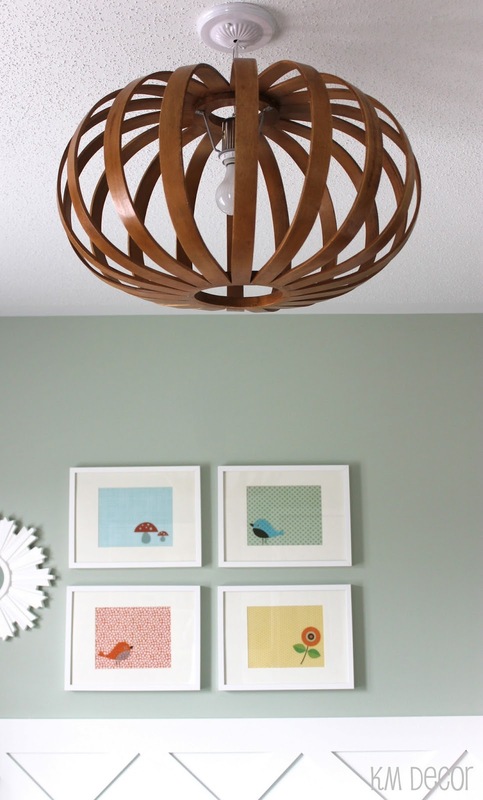 Lighting is really key in any room, regardless of the amount of natural light you might have. When I started Project Nursery, we were stuck with very limited artificial light. We have 2 large windows in this room, so natural light was definitely not lacking. The builder installed a standard flushmount light with a 60 watt bulb, and this meant there were too many shadows being cast around the room. 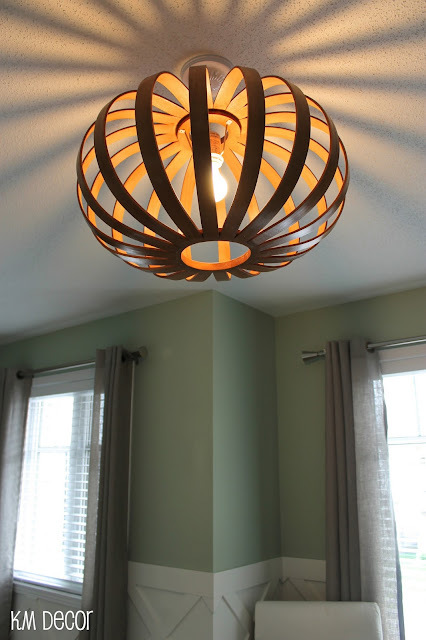 I knew I needed a great light in this room, but moreso I needed a light that would reflect the style that I was going for in this room: playful, gender-neutral, but modern. Something that could grow with the baby as she gets older. Back in February, I came across this amazing light on the West Elm site (it's no longer available online, so I can't give you the link). I instantly fell in love and knew that it was perfect for the space. So, I added it to my design board, and built the room around it. In March, I noticed that it was on back order until July. I had no choice to order it then for fear of not having the light installed before the baby was here. It adds the perfect balance of character, whimsy, and interest in the space. Not to mention that it gives a great amount of light (up to 150 watts) and shines a beautiful pattern on the walls at night. We also decided to install a dimmer for those times where we'll be in the nursery in the middle of the night - a bright light is less than ideal. Stay tuned next week when I reveal the completed nursery! (But until then, you can read more about the nursery here, here, and here.